The sporty motorcycle Vader you get after it this cheat code for the Playstation 3 (PS3) have in The Ballad of Gay Tony entered with the phone. The Sportbike Vader is created by entering the code in front of you. 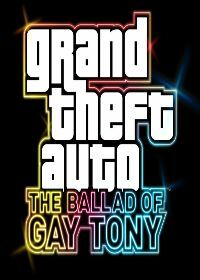 It is also a two-seater, take her to the other people from GTA Ballad Of Gay Tony can. Here are the Vote for the Cheat "cheat code motorcycle vader". Vote it for the Cheat-GTA.com Top-Ten! Just click a star and press submit. There are 1 comment for "cheat code motorcycle vader" on www.cheat-gta.com. Just add a comment. With * marked fields are required for a comment to cheat code motorcycle vader. cheat code motorcycle vader isnt the correct gta cheat code you are looking for?